Aija Mayrock, author of “The Survival Guide to Bullying,” set out to inspire confidence in kids after getting attacked online herself. 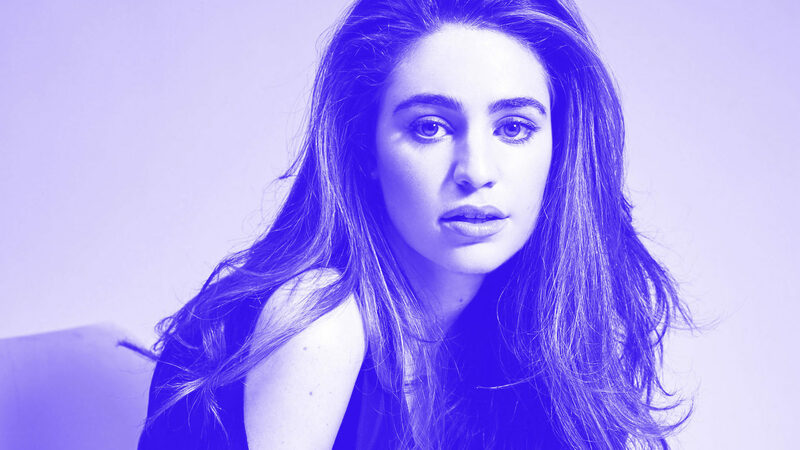 We asked her a few questions about what is what like growing up and how to deal with the subject of her book – bullying. BL: I know your childhood played an impact on your career, could you tell me about your journey in becoming an author and activist for anti-bullying and women empowerment? Aija: I was bullied from the time I was 8 until I was 16. I had a lisp and stutter and was tormented by my classmates and some of my teachers for years. When I was 14, I moved from New York (where the bullying had taken place) to California (where I thought I would have my new beginning). In my freshman year of high school, a girl I had never met who attended my old school in New York, dressed up as me for Halloween and posted it online. It went viral. I suddenly felt like the world was against me. Around that same time, there were a lot of teen suicides in the news due to bullying. I was heartbroken and angry that I couldn’t help those kids. So I began writing the book I never had but always needed. It started as kind of a diary, something to heal myself, but then morphed into a book I wanted to share with the world. After years of going on tour and working with millions of young people nationwide, I had experienced a lot of sexism and misogyny. I also heard stories from the girls that I was speaking to about their experiences being a girl and/or a woman in different places around the country and the world. I wanted to start talking about those issues, as well. So I began writing spoken word – beginning with my poem “The Truth About Being A Girl” and it really took off from there. BL: Why do you think young kids feel the need to take extreme routes like bullying others in middle and high school? Aija: I believe bullying is learned behavior. No one is born a bully. Bullying is also a cycle. Often times the person who is being bullied has also been the bully or the bystander in another given moment. I think kids that bully have either learned it from home or another environment, have never been taught that it can’t and won’t be tolerated, and/or are dealing with issues themselves and therefore they put it onto others. 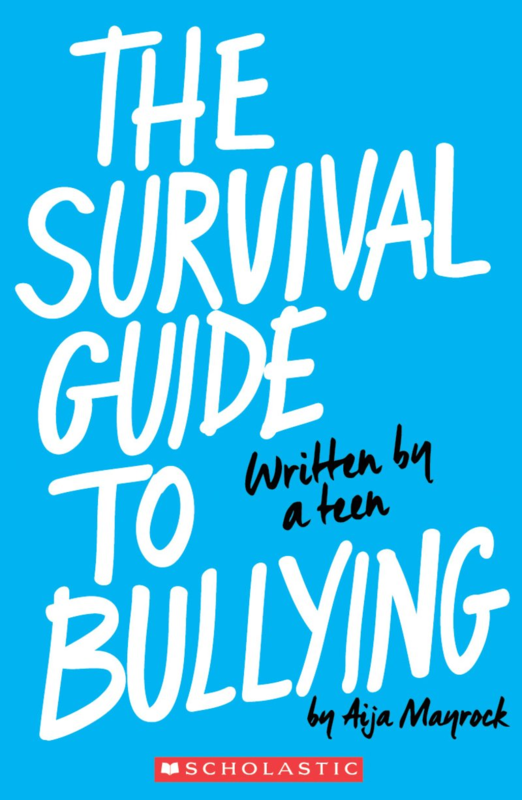 BL: How is “The Survival Guide to Bullying” a solution to help prevent future bullying? Aija: I don’t believe that my book is a solution to bullying, because I do not believe there is a solution to bullying, in general. I think there are things that can help lessen the cycle of bullying and I think my book is part of that. My book was designed to be used as a tool and manual for any young person facing bullying. It is a guide that teaches young people how to stand up, advocate, and take control of their situation. It is also something that parents and educators can read and utilize to understand what is going on in their students or peers lives. BL: Does being a girl affect the difference in bullying, if so how? Aija: I think that bullying effects people of all genders and gender identities differently. I believe that some parts of how girls are bullied is different than aspects of how boys, transgender folks, members of the LGBTQ+ community and so on and so fourth, are bullied. In my experience, I was bullied by girls and boys. BL: I loved your piece talking about the truth about being a girl, how can this generation and the next generations change the environment girls live in? Aija: Currently, we are in a wave of speaking out about the issues that effect women and girls which is wonderful and long overdue. However, I am waiting for the day where people are held accountable. Accountability does not begin at the most high profile cases. It happens in the stories, communities, and places that don’t make major headlines. It’s the harassment and assault that may take place in a school or community far away. I believe that young people can start holding one another accountable, fighting for justice when those they know are effected, and not letting us regress to a time of silence. BL: A lot of girls want to know the secret of, how to deal with bullies, do you have any advice? BL: Do you think there are different ways to navigate cyberbullying? Aija: Yes! I have a whole chapter dedicated to that in my book. I believe cyber bullying is the most dangerous form of bullying as it can be anonymous, can happen 24/7, and might feel like the world is against you. It’s crucial to protect yourself online, whether that means having a private account, blocking and reporting people that are bullying you, or “going dark” or “semi dark” on social media. BL: If you could tell your 13 year old self a piece of advice, what would it be? Aija: You are stronger than you know. I promise it does get better. Talk to a trusted adult. You are never alone. Click Here to view her book!